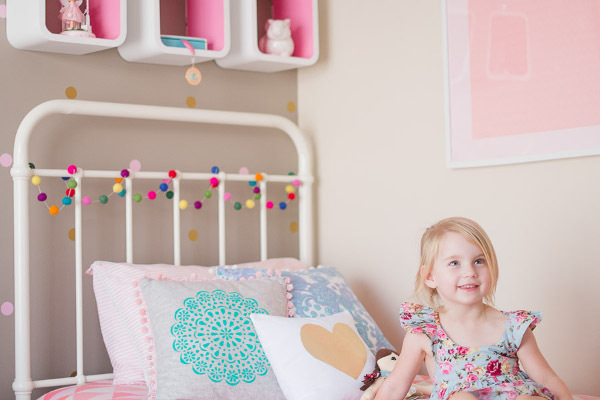 Lucky Holly, two, has a mum with a flair for design and passion for refinishing old furniture. 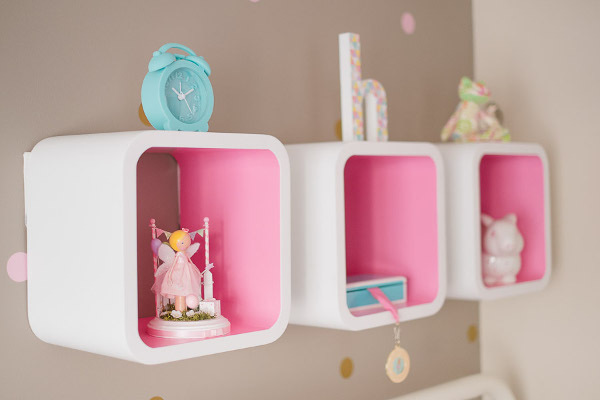 Belinda Kurtz, is a children’s interior designer who wanted to make a bright and fun place for her daughter to learn and grow. It all started with the children’s peacock chair (below) Belinda purchased for just $50 on eBay. 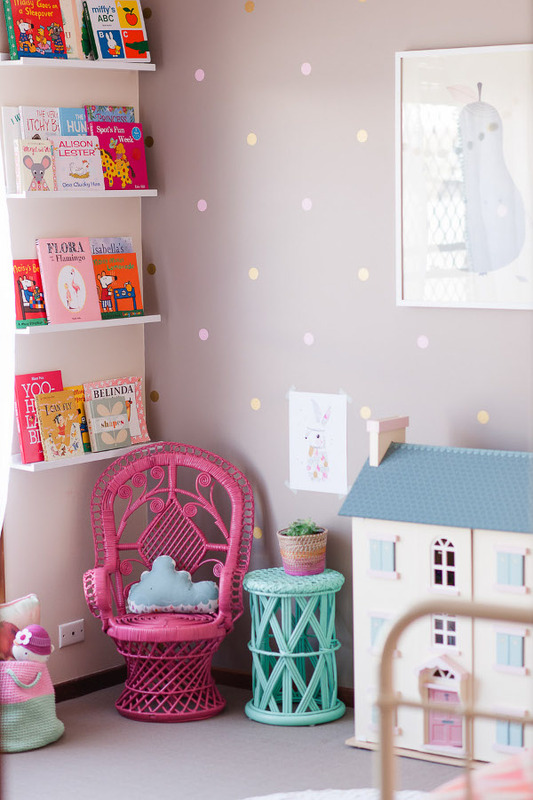 A few coats of pink spray paint and it became the feature of this adorable room. The gorgeous side tables are also secondhand treasures that got a new lease on life thanks to Belinda’s handiwork. The doll bassinet, which is more than forty years old, has also been refinished. 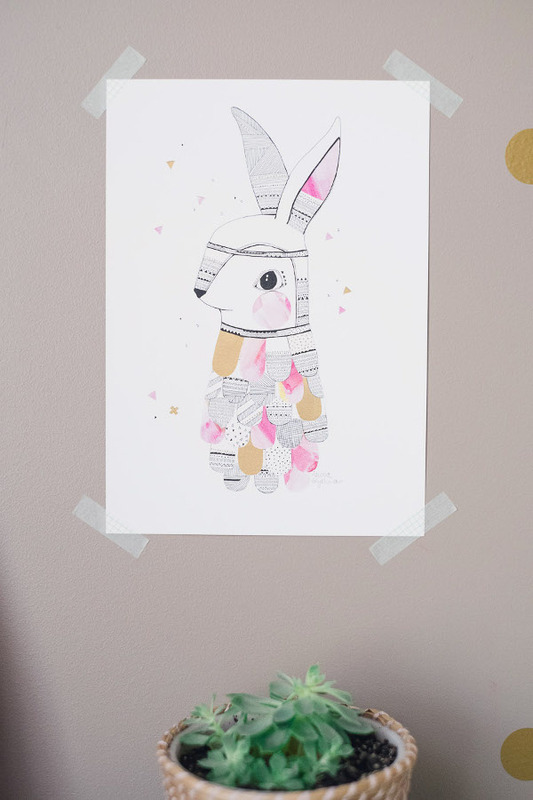 Belinda funked up Holly’s curtains from Spotlight by sewing on some pom-pom trim. 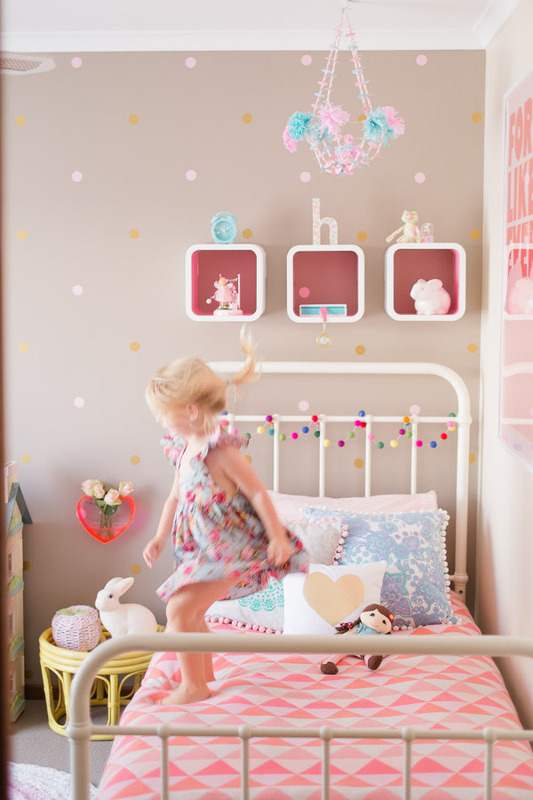 And the paper chandelier was a mother-and-daughter project that has pride of place over Holly’s bed. She may have saved cash on the DIY projects, but Belinda used the savings to spend on investment pieces that would grow with Holly. She splurged on the bed so it would last Holly into her teenage years. 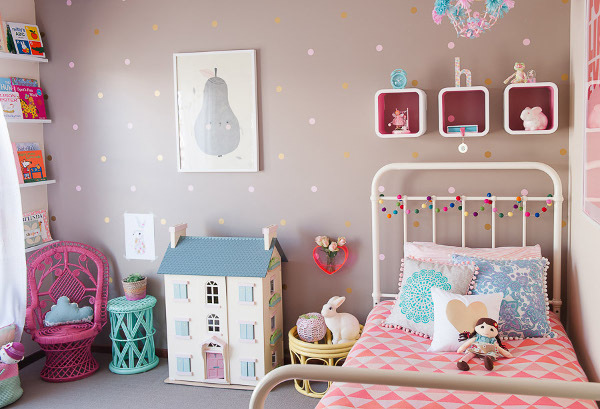 It took Belinda nearly six months to complete all of the restorations and put everything together.“Every time Holly walks through the door she says ‘I love my room!’ and that makes all the hard work worthwhile,” Belinda says.